Looking to establish a healthy diet that includes more plant-based protein, healthy fats, and fiber? Add seeds! Seeds are tiny plant embryos that contain the food and nutrients needed to start the growth of a plant. This makes seeds a great source of a variety of nutrients like heart-healthy fats, protein, fiber and a number of essential vitamins and minerals. Flax, chia, and hemp seeds are plant-based sources of heart-healthy omega-3 fats which may lower the risk of heart disease by reducing inflammation in the body. Check out this guide to seeds to learn about their individual benefits and how to incorporate them into your diet. Growing up, my mom would make a deal with my sister and me when it came to clothes shopping. She had to like our clothes because she was paying for them and we had to like the clothes because we were wearing them. I recommend a similar approach to my clients about their food choices. You should choose food that serves you in two ways—a food that your body appreciates, and a food that you enjoy eating. Fish is on my ‘enjoy’ list—perhaps you enjoy eating fish as well or maybe you are simply curious about its benefits. Let me show you how fish benefits your body. We live in a world of haste and instant access, and eating is no exception. Whether we are texting, driving or watching TV, we tend to multi-task while eating or snacking. Mindless eating traps are plentiful and food is around every corner. In fact, it is estimated that we make about 200 decisions a day about the foods we eat and drink. It might be time to hit the pause button and reap the benefits of eating mindfully. National guidelines for a healthy heart suggest getting at least 150 minutes of moderate physical activity each week. Swimming is a great way to incorporate both strength building and aerobic activity into your fitness routine while going easy on the joints. April is adult learn to swim month, and a great time to learn about the benefits of swimming and how to get started. Do you have type 2 diabetes? Perhaps you’re at risk for it, or someone you care about has type 2 diabetes. Approximately 12% of adults have type 2 diabetes, including approximately 25% of individuals over age 65 years.1 Diabetes is a leading killer throughout the United States, and is on the rise. But there is good news—type 2 diabetes is reversible. Although it is not currently curable, many individuals have achieved remission or near-remission of their diabetes, meaning that their blood sugar levels are normal or nearly normal without diabetes medication.2, 3 “Diabetes Reversal” is the process of working toward remission or as close to remission as possible. So, how does diabetes reversal work? Heart disease is a largely preventable disease because many of the risk factors such as obesity, unhealthy eating habits, and lack of physical activity are within a person’s power to change. Another controllable risk factor for heart disease is smoking. If you are considering becoming a non-smoker, keep reading below for helpful ways to get started. Losing sleep over sleep deprivation? On average, Americans live for approximately 75 years, of which they spend about 25 years sleeping. There is perhaps no other single activity that preoccupies a human life as much as sleep does. Sleep is a universal trait in the animal kingdom and is likely an evolutionary survival tool. It is speculated that sleep offers adaptive inactivity to ensure that species are not active and exposed to predators when they are most vulnerable. Other theories include energy conservation theory, restorative theory (time for the brain to repair itself) and brain plasticity theory (sleep correlated to bodily changes such as growing children needing more sleep than grown adults). Although there is no consistent empirical data to pin any of these theories to the evolutionary purpose of sleep, biological truth about the purpose of sleep is likely hidden among all of these theories. What we do know, is that sleep is not, however, a state of unconsciousness as envisioned in the early days, but is a highly metabolically active state. Not all meats are created equal, and often we choose to avoid answering questions like; “What exactly is in those chicken nuggets I had for lunch?” The problem in not answering these types of questions is that these so called “mystery meats” have multiple ingredients that have been linked to chronic diseases such as heart disease and certain cancers. It’s time to have those often unasked questions answered, and learn tools to make healthy swaps from “mystery” to “clean” meats. Today’s reality is that most of us are busy and on the go often. Between work, school, family activities and life in general, things can get overwhelming. This is where a crockpot (also called a slow cooker) can help ease meal planning and save you time and money. Typically using a crockpot involves quick prep followed by a slow cooking time. This can result in a simple, healthy, and delicious meal that’s waiting on you as soon as you walk in the door from your busy day. With a crockpot there is a wide variety of foods that you can prepare including soups, stews and casseroles. Yoga comes from a Sanskrit word often interpreted as “union.” While it involves eight “limbs” or aspects, most people practicing today are engaged mainly in the physical practice of postures which act to provide physical strength and stamina required for meditation. But, within this physical practice, yoga is unique in connecting movement and activity of the mind to the rhythm of the breath to direct attention inward. The body becomes more flexible as does the mind. Looking to try yoga but unsure where to begin? No special flexibility or ability is required as there are so many types and levels of yoga available. I’ve outlined some of the more common types you may encounter so you can choose the type you may want to pursue. Do not be afraid to speak to the yoga studio ahead of time to find a level and style of class that works best for you. How to Choose the Best Nut Butter without Going Nuts! Here’s my personal criteria that you can follow to choose the best nut butters on the market and reduce your risk for heart disease. As parents, we want our kids to be happy and healthy. At times, that may mean we put our own health on the backburner. But, it is important to remember that you are the biggest influence in your child’s life. When you make smart choices about food, exercise, and stress management, you set a great example. Start with these simple family health tips to set goals you and your family can enjoy reaching together. Hi Everyone! Welcome back to In the Kitchen with Caitlin, a blog series where I feature some lesser known ingredients and highlight ways to use them in delicious and healthy recipes. Today, I am going to show you how to make two delicious snack recipes that use the same ingredient in two very different ways. The featured ingredient is the garbanzo bean. You may already be familiar with garbanzo beans, but perhaps you aren’t aware of the many different ways you could use them. Thinking of becoming a vegetarian? October is Vegetarian Awareness month and a good time to learn about what it takes to become vegetarian and why you might want to consider it. Read on to learn about various levels of vegetarian diets, the benefits of going meatless and ways to ease into eating vegetarian. Do you have a training plan that works with your schedule? Do you have the proper attire for running? Do you have a good support team in place? Have you thought about how you will fuel your body? What’s New about the New Nutrition Facts Food Label? As a nutritionist and a diabetes expert, I am very pleased that the Food and Drug Administration (FDA) is making a welcomed change to the nutrition facts label. Some companies have already started implementing the changes, so now is a good time to point out what’s new and improved on the label. I’ve highlighted some of the major changes below. For those of you unfamiliar with the process, roasting vegetables is when you take your favorite variety of vegetables, spread them in a single layer on a baking sheet, lightly drizzle them with oil, and season to taste. The roasting process brings out the natural flavors of the vegetables and makes them slightly crispy on the outside but tender on the inside. (A great mouth-feel!) I have yet to come across a vegetable I haven’t enjoyed roasted. From root veggies like sweet potatoes and parsnip to summer veggies like zucchini and tomatoes; you really can’t go wrong. Because there are so many options, an added bonus to roasting vegetables is that is can be pretty economical. You can purchase what’s on sale and be confident that you’ll enjoy the taste. Like most people, I need every minute I can spare, and batch cooking allows me to significantly cut down on the time it takes to prepare meals. Instead of dinner prep taking anywhere from 30 minutes to an hour, I can have a nutritious and delicious dinner on the table in 15 minutes or less! Batch cooking can also help you to stay on track with your health goals. Meditation is often viewed as a lengthy session of sitting silently, legs crossed, eyes closed with arms and hands extended, but more often than not, it is emotional and dynamic. Meditation practice has been proven to help reduce anxiety and stress, improve focus and mood, and help with sleep problems. If you are not sure how to meditate or are just curious about how to get started, there are many apps available for smartphones that can help guide you. For many adults, finding time to grocery shop, prepare meals and cook for a family can be daunting. You may not feel confident in your cooking skills, lack the time for meal planning and preparation, or just hate the idea of grocery shopping or cooking in general. Whether you are looking to eat healthier, or just want to save time there are some great options out there for you. “To lose weight, cut out the sugar-filled beverages and substitute with diet drinks.” This statement makes sense to most Americans. However, a recent study found the opposite. Artificial sweeteners were not helpful in the battle of losing weight and routine consumption may be associated with increased risk for diabetes and heart disease. Researchers think that artificial sweeteners have a negative effect on our metabolism and our healthy intestinal microbiome. It’s also thought that the very sweet-tasting nature of artificial sweeteners makes people crave even more sweet foods and therefore leads to excess calories and weight gain. The summer season is often busy and hectic. Vacations, weddings, cookouts, sports games…it can sometimes feel like you’re constantly on the go. Taking the time to slow down and relax will help to prevent you from getting overly stressed, tired, and rundown. In support of National Relaxation Day on Tuesday August 15, here are five natural ways you can relax. Have you ever been derailed by cheating on your diet or healthy eating plan? Have the feelings of guilt overwhelmed you? If so, you are not alone. It’s easy to fall into a love-hate relationship with food. We are constantly inundated with information about food—trends, cures, and risks. So when you do go astray, you may find yourself overcome with guilt. This mindset is often referred to as “food guilt.” To a certain extent, some food guilt is normal, but when it consumes your thoughts it can lead to disordered eating patterns. Here are a few techniques to fight food guilt. You have been eating healthier and exercising regularly the past six weeks. It took a while to get started, but you did and you’re feeling comfortable, in a routine, and reaping the rewards. You feel better than you have in a long time when….BOOM! It’s time to go on vacation and you are worried about getting off track. Does this sound familiar? If so, worry no more and consider these tips for success. Summer weather is officially here and that means it is peak season for many fruit and vegetable superfoods. A superfood is a, “nutrient powerhouse,” meaning they are packed with large amounts of antioxidants, polyphenols, vitamins and minerals that can help improve overall health and well-being when consumed regularly. If you’re wondering which fruit and veggie superfoods to add to your next grocery list, take a look at this [infographic] for some suggestions and the health benefits they provide. Summer cookouts and picnics are a popular way to enjoy the summer season, but that doesn’t mean that unhealthy temptations need to get in the way of your health goals. Here are a few ways to make your next cookout or picnic healthy and delicious. The summer months are here and that means it's a great time to get outside and enjoy the warmer weather. There are many exercises you can do outdoors that contribute to a healthy, active lifestyle. This summer, ditch your indoor fitness routine and try these refreshing outdoor exercises instead! We’ve all tried to make changes in our lives, right? Whether it’s quitting smoking, eating less, exercising more or learning a new skill, chances are you went through these stages of change and may not have even known it! Check out these five stages of change and learn how to reach success with your goals. June is national fresh fruit and vegetable month and a great time to start eating more produce. Connecting with local farms, farmers markets or a Community Supported Agriculture (CSA) farm can make getting fresh and seasonal produce easy. Check out these “fresh” suggestions for purchasing and preparing fresh fruit and vegetables this summer. Eating right and regularly exercising are not the only ways to reduce your risk of cardiovascular disease. These four lifestyle factors play an essential role as well. Our bodies are made up of 60% water, so it's important that we are drinking it each day. There are many added benefits to drinking water, check out this [infographic] to learn more. What is HDL particle function and why is this important? It’s hard not to feel overwhelmed when setting new lifestyle goals. You might need help getting started, help with motivation along the way, or additional support to keep you on track. The good news, there’s an app for that. There are plenty of health apps that can be downloaded to your smartphone that are designed to help you meet your goals. I bet you’re wondering, how do I know which app is right for me? Recently, the American College of Cardiology released a comprehensive review of foods and diets. 1 Included in this review, people were advised to avoid a Southern diet due to evidence that it negatively impacts cardiovascular health. The Southern diet is typically high in added fats and oils, fried foods, eggs, organ and processed meats, and sugar-sweetened drinks. While this report provides great information for healthy living, it doesn’t do much for my Southern palate. Hi Everyone! Welcome back to In the Kitchen with Caitlin, a blog series where I feature some lesser known ingredients and highlight ways to use them in delicious and healthy recipes. Did you know March is National Frozen Food Month? No? Well, don’t feel bad, I didn’t either until just recently. In honor of National Frozen Food Month, I’m going to blog about how to build a nutritious and delicious smoothie. Smoothies are a great way to save some money on fruit by buying frozen. I love having frozen fruit on hand because unlike fresh, it is picked in season and flash frozen so the flavors are great any time of year. Also, frozen fruit, unlike canned, is typically frozen without any added sugar or juice so you’re just getting the fruit itself. Lastly, keeping frozen fruit on hand means you don’t have to worry about it spoiling. If you live alone, you may be deterred from buying fruit because it tends to spoil before you get a chance to eat it all, with frozen fruit you don’t have to worry about that! “Not that one….get the one that’s 70% or higher,” are words of wisdom when it comes to chocolate! Chemicals called polyphenols found in the cocoa of chocolate have tremendous health benefits. Flavanols and flavanoids are sub-categories of polyphenols that act as antioxidants in the body. They have been shown to cause dilatation of the arteries (meaning the arteries become wider) by increasing a substance called nitric oxide. When nitric oxide is released, the arteries open up and blood pressure goes down.1 Studies show that cocoa intake can reduce blood pressure by 2-3 mm/hg. What if we combined modest exercise (30-40 mins/day), which lowers systolic blood pressure by 4-9 mm/hg, with cocoa polyphenols? 2,3 There are no clinical studies to tell us what the combination would do, but sometimes it’s the little changes that cause dramatic effects. Today I am introducing two special ingredients, chia and flaxseeds. While small in size, these seeds pack a big nutritional punch. You may have heard of these seeds before—maybe you even have some deep inside your pantry or freezer. Well, now’s the time to pull them out and learn a little more about why they are so good for you! In my work with people to help them learn about healthy foods and eating, it is clear that the focus on behavior change extends well beyond the food. Yes, learning about food labels, nutrients, and meal planning is key, but implementing behavior change is often the struggle. The expression “mind over matter” really is true as many of us know what to do, we just cannot seem to do it. Why are the holidays such a struggle to maintain our weight? The season provides an overabundance of high-fat, high-calorie foods, and drinks in large portions. In fact, the traditional Thanksgiving meal of turkey, stuffing, casseroles and desserts typically provides about 3000 calories in one sitting. In addition to excessive portion sizes of high-calorie foods, we tend to decrease our physical activity and put ourselves in highly emotional or stressful situations. Did you know that the average American gains about 1 pound from Thanksgiving to New Years?1 This may not seem significant, but the weight is usually not lost over the next year and can add up over time.1 So how can we make this year healthier than years past? When it comes to cholesterol lowering diets, there has been much more information on WHAT NOT to eat—bacon, cheese, ice cream, pastries-- and not enough information on WHAT TO eat! Read on to get some great tips on foods that are delicious AND beneficial when it comes to improving your blood cholesterol and reducing your risk for cardiovascular disease. Did you know that the winter months, particularly December, have the highest incidents of heart attacks?1 While this could be attributed to the time of year and overindulgence, emotional stress is also believed to be a major factor. Stress is your mind-body response to the thrills and challenges of the world around you. It can come and go quickly (acute stress). Stress can also drag on for years and feel like intense anxiety (chronic stress). When you’re stressed, your body jumpstarts the “fight or flight” response as a reaction to perceived danger. Before you even have a chance to mentally process what’s happening, your body is preparing to enter a fist fight with a shark, or send you running from a spider. While you can’t eliminate all causes of stress in your life, you can better understand your mind-body response and how to handle it. Exercise can play a key role in managing diabetes in several different ways such as improved glucose uptake, improved insulin sensitivity, and increased glucose tolerance. The American Diabetes Association recommends those with prediabetes or diabetes get at least 150 minutes of moderate-intensity or 90 minutes of vigorous exercise per week. Ideally, this is at least 30 minutes 5 days per week. Let’s look more closely at how exercise can help manage pre-diabetes and type 2 diabetes. Welcome to In the Kitchen with Caitlin, a blog where I take you through ways to use ingredients to create healthy and delicious meals. With the holiday season fast approaching, I wanted to write a Thanksgiving blog, but with a twist. I could write about ways to make a healthier dinner, but we’ve done that before! What I haven’t ever done is explored healthier ways to use Thanksgiving leftovers. So that’s what I’m doing today! While many people view Thanksgiving as an unhealthy holiday filled with rich gravy, starchy vegetables, and creamy casseroles, the basics of the meal are lean protein and vegetables. My intention for this blog is to highlight the healthy portions of the meal and walk you through two ways to use those ingredients to create satisfying meals to get you back on track after the big day has passed. The recipes featured today are shepherd’s pie and turkey and wild rice soup. As it is Great American Smokeout Day, it is important to raise awareness that people trying to quit smoking often feel a lot of shame around failed attempts. Reframing multiple quit attempts as practice for eventual success instead of submission to multiple failures can have an enlightening effect on someone trying to quit. Understanding these challenges and some tobacco myths and half-truths can help people get closer to quitting smoking for good. The quote by Lao Tzu, “the journey of a thousand miles begins with a single step” is often associated with making lifestyle changes. This connection is appropriate as it can be extremely difficult to change lifelong habits that may have contributed to obesity, ill health and disease risk. Tzu also instills a sense of hope that one single step is a beginning for change and that changing old habits is a journey and not something achievable overnight. Weight loss is most likely the best lifestyle medicine for reducing heart disease risk because it can lead to a lower blood pressure and improved diagnostic test results related to heart disease.1 Weight loss is also important for reducing risk of diabetes and metabolic syndrome because excess fat on the body can lead to insulin resistance and higher blood sugars. Since being overweight (over “fat”) plays a prominent role as a risk factor for the most common chronic diseases, it makes sense to begin the journey to better health by losing weight. Begin your weight loss journey with one of these six steps. your cholesterol levels in check. ©2015 Boston Heart Diagnostics Corporation. All rights reserved. National cholesterol education month is a great time to review why controlling blood cholesterol levels is so important to keeping a healthy heart. Several major risk factors for heart disease have long been identified and when present together create a perfect storm that can wreak havoc in the lining of the arteries of your heart. When cells of the lining of an artery become damaged, openings are created. It is this initial damage that allows the excess cholesterol in your blood to enter the lining of the artery and grow into plaque. Overtime, worsening plaque narrows or blocks blood flow and can lead to a heart attack. Preventing damage to the lining of arteries is the key to avoiding heart disease, but also to avoiding a recurring event if you already have heart disease. Here are 4 steps you can take toward maintaining healthy arteries and a healthy heart. Recent headlines suggest the sugar industry may have influenced researchers to publish articles to minimize the effects of sugar on heart health and instead, shift the attention to saturated fat as the culprit for heart disease1. Today, the scientific industry is looking more closely at sugar, in fact, in January the U.S. Dietary Guidelines were released with a new recommendation to consume less than 10% of your calories from added sugars. So what do these guidelines mean for your diet and how can you reduce your sugar intake? Leonardo da Vinci’s globally recognized illustration “Vitruvian Man”, created around 1490 AD, is an inspirational reminder that human bodies are amazingly symmetrical, beautiful and functional. For example, human arm span is the same length as body height, forming a square in his illustration. At the center of a circle, circumscribed by outstretched arms and legs, is the navel. The navel is also located at the “golden ratio” point along the human body. The golden ratio, a measure of symmetry and natural beauty famous among mathematicians and architects (symbolized by the Greek letter phi), can be found throughout the body when analyzing the lengths of related body parts, body dimensions, and facial features. In fact, symmetry and special ratios can be found throughout the natural world, and in the physical laws of nature and the universe. Do You Really Know What is Healthy for You to Eat? An interesting survey by the New York Times was conducted recently that caught my attention. The survey data were used to compare the opinions of expert nutritionists with the opinions of the general public about the healthfulness of a variety of foods. Results of the survey demonstrated a number of differences between the way the public and nutritionists rated several foods. For example, over 70% of the public felt granola bars were healthy, whereas only 30% of nutritionists felt the same. Why is there a difference of opinion? CO…what??? That’s a common response when I ask a patient to start taking Coenzyme Q10 (CoQ10), also known as ubiquinone (or in activated form ubiquinol)! 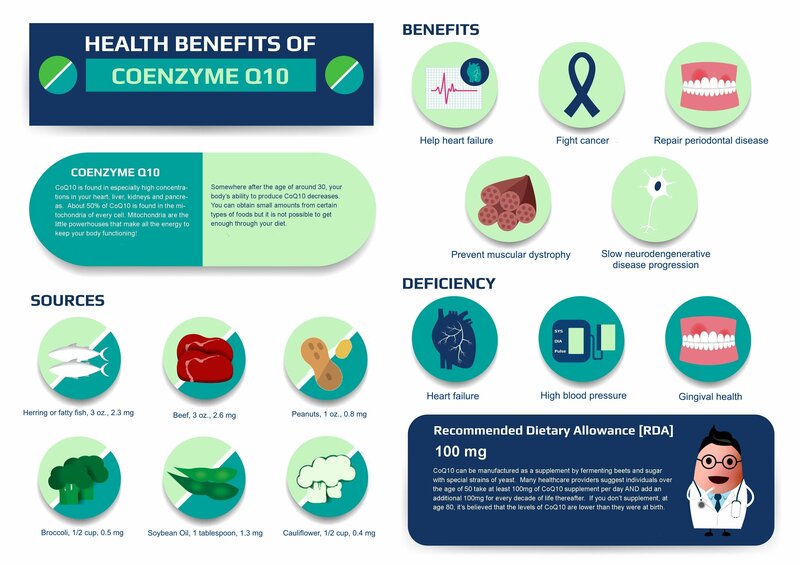 Yes CoQ10 has a funny name but your body needs it to produce energy in every cell. “Lose 10 pounds in 10 days!” Wow, that sounds amazing! Who wouldn’t want to try that? Practically everyone could restrict their calories for 10 days. But, the plain truth is that the very low calorie approach needed to achieve this type of rapid weight loss is difficult to maintain for very long and might be unhealthy. Also, the weight that you lose is mostly water along with a mix of your precious lean tissue (muscles) and some body fat. Then, after you suffer through the 10 days, you return to your previous way of eating only to quickly gain back the ten pounds and possibly more. Food is our primary life source. It’s delicious, powerful, has the ability to prevent and cause disease, and can make us simultaneously feel in and out of control. Unfortunately, over time, we have cultivated dysfunctional relationships with food. These relationships, however, do not have to be permanent. Incorporating mindful practices into your eating provides you with opportunities to learn, grow, and love the way that you eat on a daily basis! Eating mindfully can help you find what works for you as an individual and encourage you to embrace a sustainable lifestyle. When choosing foods, what does the word “healthy” on the label mean to you? Last week the Food & Drug Administration’s (FDA) labeling rules and regulations were in the news because of new thinking about an outdated definition for the food label claim, “healthy.” In the 1990s when “healthy” was defined, it was mostly based on a food being low in fat – regardless of the type of fat. At the time, the amount of sugar wasn’t even considered! Fast forward twenty years and we now know much more about nutrition and what makes a food healthy or not healthy. At the same time, food label claims are becoming more and more important, because people are seeking and choosing products that will have positive health benefits. Current food package definitions including “healthy” are often misleading to consumers and persuade them to make unhealthy choices. The fact that the FDA will be rethinking their modern definition of healthy is welcome news. In addition, proposals to improve the nutrition facts panel include making the serving size and calorie information more prominent and providing the gram amounts per serving for added sugars. While the FDA is working to redefine healthy, here are some quick and easy tips you can use to make healthy choices. How Important is Exercise to Your Overall Health? Recently, I read a blog suggesting that exercise isn’t as important for weight loss as a healthy diet. I can’t argue the fact that a healthy diet, with just enough calories and a good balance of carbohydrates, proteins and fats is important if you are trying to lose weight. However, if you think you can skip your workout because you eat healthy, think again! The third Monday in April is Patriot’s Day in Massachusetts, but ever since I moved to Boston 10 years ago I’ve thought of it as “Marathon Monday.” Every year I look forward to cheering on the runners, whether it’s humid and 90 degrees or 40 degrees and pouring rain. Whether you’re a runner or a fan, it’s easy to be motivated by the Boston Marathon. Maybe it’s the thousands of people running for charity, the site of the most elite runners in the world, or the amazing Hoyt family, but I don’t have to look hard at the Boston Marathon to be inspired. I walk away from the Marathon every year determined to exercise more regularly and improve my fitness and strength. This year was no different than the others. On April 18, I left the Boston Marathon with renewed energy towards my fitness routine. In the past, I have managed to stick with my regimen for a few months. And even though the benefits of regular exercise, including decreased risk of heart disease and diabetes, cannot be overstated, I find staying on track can be hard, especially during the summer. If you struggle with consistency in your exercise, you’re not alone. Most people want to exercise and have great intentions, but life often gets in the way. So how can we improve? Growing up in North Carolina, I can tell you that nothing is better than mom’s fried chicken and buttermilk biscuits with a cold, refreshing glass of sweet tea. Now that I’m a little older, I realize these foods are not the best for my heart health. I also understand that my parents are growing older too and continue to make these high fat and sugary foods a regular part of their diet. Speaking with them about their choices and daily habits can be intimidating, but I want them to understand that the choices they make every day have a lasting effect on their heart and overall health. So what is important for me to tell them and what is the best way to get the point across? After years of avoiding steak, eggs and ice cream as part your quest for maintaining good cholesterol levels, now you are finding yourself ready to indulge. Are the new guidelines too good to be true? Consider these 5 undisputable facts before you add more butter to your bread. Eat less fat! No, eat more fat but only the right kinds! Wait! Eat low glycemic, high fiber, three meals, six meals, no, graze all day long! All this nutrition information is ripe with plenty of good advice but also a lot of contradictions and myths. Sorting it out can be extremely confusing. When my patients ask about buying a supplement suggested in the office, a LONG, passionate conversation ensues! But don’t worry, I’ll save you time and boil it down to 5 main rules on how to buy supplements. Is Full-Fat Dairy Better or Worse than Low-Fat Dairy? I grew up next to a dairy farm in the Midwest and I admit to loving all creamy, full-fat dairy products—milk, cheese, yogurt, ice cream—you name it! You might be like me and feel full-fat dairy is a more rich and flavorful choice versus low-fat or non-fat varieties, but is it a healthier choice? About 15 years ago, the Atkins Diet was starting to catch on like wild fire. I first learned about it from a doctor friend who said he was losing weight by eating mostly meat, cheese, and eggs. “You can’t lose weight on a high-fat diet” I insisted, but there really wasn’t much evidence to back me up. At that time, there were more than 1,000 diet books on the market which begged the question --Is one diet better than all the rest?